For the Gadigal People of the Eora Nation, whose land it is that the British took that day, a foreign people had arrived and proceeded to steal their land in Sydney Cove. The colonists planted a flag, cut down trees, and took what space they needed to establish their camp. 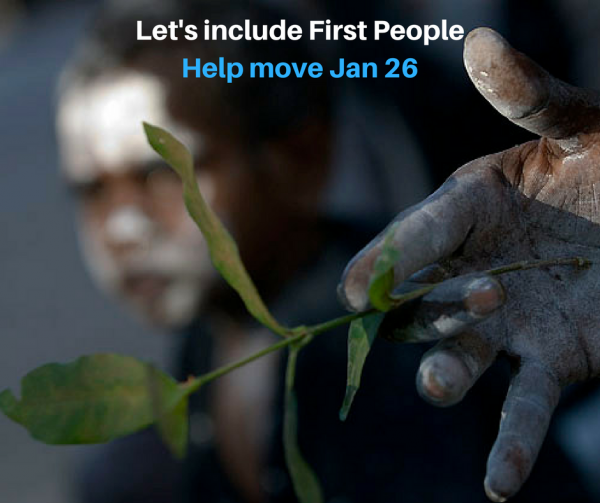 Please help Australia come to terms with what January 26 represents to First People, please sign our Sea of Hands Pledge. Thinking of how to mark the day? We've collated some of the events and rallies led by Aboriginal and Torres Strait Islander people that are being held on the 26 January. View the list here. Interested in volunteering with ANTaR on Survival Day at Yabun Festival in Sydney? Find out more here. Not long after, there was armed conflict, commencing years of frontier conflict, massacres, forcibly stealing other First Nations’ land, moving them off it, stealing vital food resources, and smashing the way of life that had been lived for thousands of years in those places. The uninvited British arrival and encampment in Sydney Cove January 26 1788, was both a staging post, and the start, of a long invasion of First People’s land. An invasion of a continent that was home to 250+ nations of Australia’s First Peoples, inter-connected by trade, sharing knowledge, cultural values and spirituality. Celebrating, ignores the truths of our shared history and is akin to asking Aboriginal and Torres Strait Islander people to celebrate their own invasion and dispossession. At the heart of reconciliation is an acceptance of the history of past injustices to Aboriginal and Torres Strait Islander people. 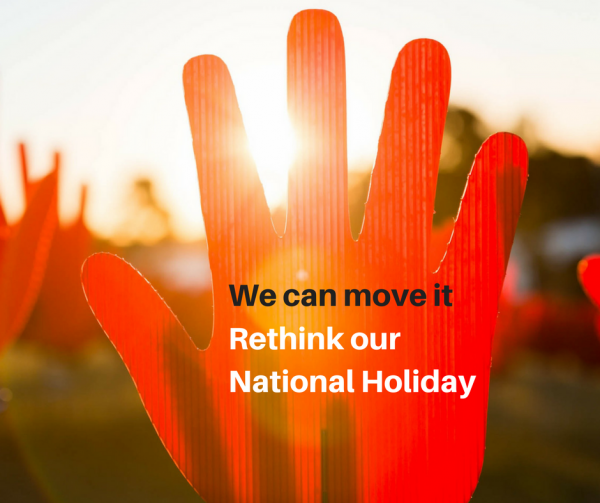 Changing the date would be a definitive act of healing, if as a nation we can accept it is inappropriate to celebrate national unity on a date that has left long-lasting scars with Australia’s First Peoples. For some, the conversation is difficult, as many want to celebrate what is good about Australia, what brings us together, unites us as Australians. ANTaR believes that the country cannot unite on a date marking the start of the invasion of the First Australians’ land. Finding an alternative date, and celebrating together is absolutely achievable and not much for the First Australians to ask of us. Please take our pledge to talk to family and friends, not celebrate on January 26, and support campaigns to build momentum for changing the date.